Books that are published in the calendar year of 2018, or WILL BE published in 2018, are eligible to participate. The SCBWI BookStop is a fantastic way for SCBWI members to boost your newly published book’s outreach. Design a one-of-a-kind, online page that gives visitors an inside look at you and your book. For $25, you can choose from one of our 7 beautiful pre-designed templates, which will be hosted here at scbwi.org for the general public to browse, purchase and enjoy! We want you to take full advantage of the entire six-week promotion period, so have your page ready by our launch date, October 23rd. 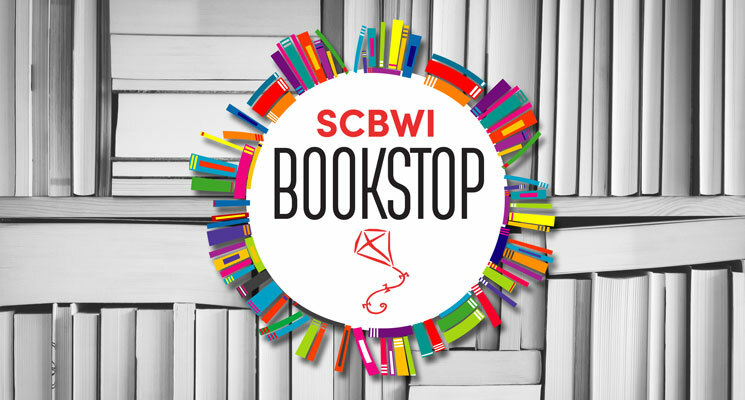 You can still purchase an SCBWI BookStop any time between then and December 7th. The SCBWI BookStop promotion will last six weeks, from October 23rd to December 7th, and is available for all books published in 2018. To see an example of all our 7 templates, CLICK HERE! To purchase an SCBWI BookStop: members simply log in to www.scbwi.org and click “My BookStop” on the left side of your profile. Q: Is this anything like the Book Blast promotion from 2016? A: Yes! SCBWI BookStop is the same program as Book Blast, but under a new name. You can access SCBWI BookStop through your member profile, in the same spot where the Book Blasts used to be. Q: Can I make an SCBWI BookStop for my app or ebook? A: Sure! Apps and ebooks are welcome along with hard copy and paperback books. Q: How long does the SCBWI BookStop period last? A: SCBWI BookStop is a six-week promotion, launching on October 23rd and ending on December 7th. Your page will be visible throughout that time and you can make edits at any time. Q: When will my SCBWI BookStop page become accessible to the public? A: All of the SCBWI BookStop pages will be launching together on October 23rd; after that point, we encourage you to publicize your page as much as you can. Q: How do I promote my own SCBWI BookStop page? A: We recommend putting your SCBWI BookStop on all of your social media platforms, especially Facebook and Twitter. You’ll need to get the link to your personal page, which you can access by clicking ‘Preview SCBWI BookStop’ and using the URL from the top of the SCBWI BookStop page. Copy and paste that URL into all of your posts and tweets. Q: How do I ‘submit’ my SCBWI BookStop when I’m finished editing? A: After hitting ‘Save’ on your finalized page, you don’t have to do anything other than wait. Your SCBWI BookStop will automatically go live on the launch date, October 23rd. Q: How long do I have to edit my page? Make sure your page looks perfect and check for typos before the launch date, October 23rd. That being said, you can add or update information (like reviews or upcoming appearances) all throughout our SCBWI BookStop period. You’ll be able to access your page through your member profile, as usual. You can edit your page at any time, up until the program ends on December 7th. Q: When I post my page link to Facebook I only see the SCBWI BookStop logo as the image and not my book. What’s going on? A: When you paste the link to your SCBWI BookStop into a new Facebook post, Facebook will dynamically retrieve the “SCBWI BookStop” image, and place it in your post. If you click that “SCBWI BookStop” image, it will take you to the *full* SCBWI BookStop listing—it won’t yet go to your personal page. That’s because you haven’t saved the Facebook post yet. After you click the blue “Post” button to save the post on your timeline, clicking the image *will* take you to your personal SCBWI BookStop page. Note that the blue “Post” button is now gone, and so is the URL that you pasted in. That URL is now the link when clicking the image.